RUSH: Look, it wasn’t just Chuck You Schumer who was instrumental in the Diversity Visa Program lottery. Remember, folks, this is an “outreach” program. We invite these people in. These are people not trying to get into the country. In large part, these are people who do not want to come to America. We are reaching out to them. The program goes back to 1990, and it wasn’t just Chuck You Schumer. 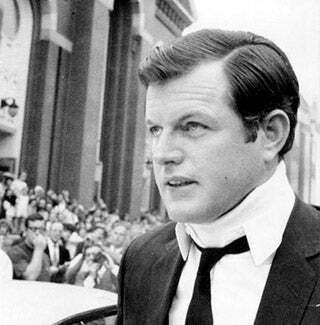 Senator Kennedy was instrumental in this, and one of the reasons or pieces of logic he used to justify it is how unfairly the Irish were treated back in the late 1800s/early 1900s when they were highly discriminated against and were not permitted to enter the country even during the Potato Famine in Ireland. So it’s an outreach program, and you could even describe this terrorist as a visa lottery winner! Breitbart describes him as “[o]ne of the Schumer-visa winners … an immigrant from Uzbekistan or neighboring Kyrgyzstan, who got his green card in 2010. He is reportedly the driver who killed eight New Yorkers …” When was the last time — when was the first time — that you see anybody holding Democrats accountable for the policies and laws that they create? Hello, Donald Trump. This is why the swamp wants to get rid of him. You’ll notice that story’s been pushed off the front page for a while. Can you imagine the Drive-Bys letting that happen? They must really be worried about this to push the Mueller indictments off the front page — figuratively speaking, of course. There aren’t really any front pages anymore that anybody really sees. But you know what I’m talking about. I have to think that if the Drive-Bys were not worried about this, they’d do everything they can… How could they blame this on Republicans? How can this blame this on Trump? Trump is the guy who has actively been taking steps to try to stop this, and it’s been the Democrat Party and their judges that have done everything they can to stop Trump. The various travel bans, the efforts to limit the number of people and type people who get into the country? That’s all Trump. There’s no way they can blame this on Trump. This guy’s been here since, 2010, so they can’t even say this guy came in in anger over Trump — which, don’t doubt me, they would if they could. If they could sell the idea that this guy was so outraged at Trump winning the presidency and his anti-Muslim rhetoric that he made a beeline for America to come in here and commit acts of terrorism…? If they could sell that, they would, but they can’t ’cause the guy predates Trump. This guy is here because of the invitation he got from the United States government, a policy that was created and engineered by Democrats. But, but, but there’s Republican involvement too. I mean, it’s George H. W. Bush’s administration when it happened. But Democrats just don’t get push-back like this. Here’s Trump pushing back. Breitbart is echoing Trump, and the Mueller indictments are nowhere to be seen today. They’re getting some scant mentions here and there, but they’ve been totally swept off the lead news positions. Now, one of the reasons is they know it’s gonna come back. It’s gonna resurface. But normally they would sweep Mueller and his investigation aside if they could find a way to blame this latest top-drawer news story on Trump and Republicans. But they can’t. So I think what they’re in the midst of here is damage control, ever since the Diversity Visa Program has been linked and connected to this. I heard Trump about 40 minutes ago at the White House. This is prior to a cabinet meeting where he was pretty pointed in his comments. We have some sound bites, and here’s the first. THE PRESIDENT: All of America is praying and grieving for the families who lost their precious loved ones. Our hearts break for them, and we pledge to renew our resolve in their memory. I am today starting the process of terminating the Diversity Lottery Program. I’m going to ask Congress to immediately initiate work to get rid of this program. Diversity lottery? Sounds nice. It’s not nice! It’s not good. RUSH: I don’t even think it sounds good. Diversity lottery? “Diversity” is a buzzword to me now. When I hear “diversity,” I just hear liberalism, I hear the Democrat Party, and I know it’s nothing to do with diversity. If anything, their diversity program is intended to dilute. They use “diversity” to dilute and to disempower a majority they resent and despise. They’re not really into diversity for the sake of the beautiful mosaic. They just say that. Their whole diversity ruse is nothing more than an attempt to water down or dilute. THE PRESIDENT: — for — and this is preliminarily — 23 people. THE PRESIDENT: — that came in or potentially came in with him. THE PRESIDENT: That’s not acceptable. THE PRESIDENT: So we want to get rid of chain migration. RUSH: Yeah. Well, here’s Andrew Cuomo, the older brother of Fredo, out there saying (impression), “This guy was a rogue! He rented a rogue truck. He drove the truck as a rogue terrorist. He’s a one-off, have any support group. There’s nothing to see here,” and that’s dead wrong. The guy did have a support group, he did have comrades, he did have people encouraging him and motivating him. It was at that mosque! This is precisely why vetting for Sharia supremacy really has to be, should become the objective, not just do you like ISIS, “Are you connected to ISIS? What do you think of ISIS? What about Al-Qaeda? What about the Muslim Brotherhood?” Those questions don’t get anywhere near the root. We’re just identifying symptoms. Now Trump unloads and blames the Democrats. This is something they’re totally unaccustomed to, not comfortable with. THE PRESIDENT: There are bills already about ending chain migration, and we have a lot good bills in there. We’re being stopped by Democrats because there’s obstructionists. We have to get much smarter, and we have to get much less politically correct. We’re so politically correct that we’re afraid to do anything — and that’s not only our country. That’s other countries too. We also have to come up with punishment that’s far quicker and far greater than the punishment these animals are getting right now. THE PRESIDENT: They go through court for years. At the end, there will be… Who knows what happens? We need quick justice, and we need strong justice — much quicker and much stronger than we have right now, ’cause what we have right now is a joke, and it’s a laughingstock. And no wonder so much of this stuff takes place. RUSH: CNN is reporting that the FBI and the NYPD are questioning the suspect at the hospital. You know, these moments always give me a little pause, ’cause I don’t think these terrorists are idiots. This guy’s been here a long time. He’s been here since 2010, so it’s enough for this guy to get the lay of the land. I mean, it’s clear for people like this. They know that what they have to do to make the media their ally, for example. And as you’ve heard and will hear more of, the media did everything it could to not properly identify this guy for people. If this guy comes forth — and, you know, here’s the danger. When I started making jokes about these people, sadly too often I turn out to actually have been right. This guy would never blame Harvey Weinstein, sexual harassment. No. I know it sounds farfetched and I’ve made so many of these farfetched sounding jokes before that actually come back and have a grain of truth in them. Here’s the final Trump sound bite. THE PRESIDENT: I would certainly consider that, yes. I would certainly consider that. Send him to Gitmo. We don’t want lotteries where the wrong people are in the lotteries. And guess what? Who are the suckers that get those people? And we want a merit-based system, and we do not want chain migration where somebody like him ultimately will be allowed to bring in many, many members of his family, and we don’t want that. DE BLASIO: The last thing the president or anyone else should do is politicize this tragedy. The last thing we should do is start casting aspersions on whole races of people or whole religions or whole nations. That only makes the situation worse. Anyone who wants to come to this country should be very thoroughly vetted as an individual. 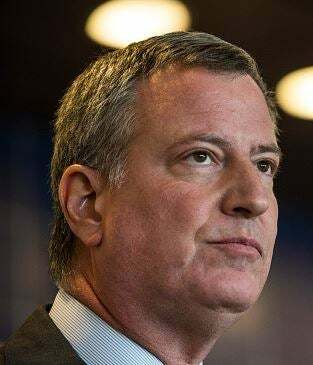 DE BLASIO: — start generalizing it, especially to a whole religion, then, unfortunately, we’re sending the exact negative message that the terrorists want to affirm, that this nation is somehow anti-Muslim. RUSH: There you go. One cliche after another from the uber-liberal mayor of New York. The last thing we should do is start casting aspersions on whole races of people. Nobody’s doing that. The last thing we should do is politicize this. Oh, no. You people politicize literally everything and you don’t wait five seconds. The left is on defense. The left, the Democrat Party, they’re all on the defense now. And you can tell when they start spouting, “We can’t start indicting whole races of people. We need to affirm that this nation is not anti-Muslim. Trump shouldn’t be doing any of this that he’s doing. He’s just recruiting for terrorists.” It’s one cliche after another.